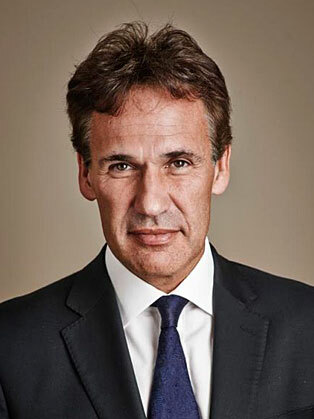 Professor Richard Susskind OBE is an author, speaker, and independent adviser to major professional firms and to national governments. His main area of expertise is the future of professional service, with particular reference to information technology. He has worked on legal technology for over 30 years. He lectures internationally and has been invited to speak in over 40 countries and has addressed audiences (in person and electronically), numbering more than 200,000. He has written and edited numerous books, including Expert Systems in Law (OUP, 1987), The Future of Law (OUP, 1996) , Transforming the Law (OUP, 2000), The Susskind Interviews: Legal Experts in Changing Times (Sweet & Maxwell, 2005), The End of Lawyers? Rethinking the Nature of Legal Services (OUP, 2008), Richard has written over 100 columns for The Times. His work has been translated into 10 languages. Following 5 years research and collaboration with his son, the book The Future of the Professions (2015) is co-authored with his Son - Daniel Susskind and Tomorrow Lawyers Second Edition (2017). He has advised on numerous government inquiries and, since 1998, has been IT Adviser to the Lord Chief Justice of England. In 2003, he was appointed by the Cabinet Office as Chair of the Advisory Panel on Public Sector Information, a position he held until 2008. Richard is President of the Society for Computers and Law and is Chair of the Advisory Board of the Oxford Internet Institute where he is also a Visiting Professor. He also hold professorships at Gresham College, London, and the University of Strathclyde in Glasgow. Richard has a first class honours degree in law from the University of Glasgow and a doctorate in law and computers from Balliol College, Oxford. He is a Fellow of the Royal Society of Edinburgh and of the British Computer Society, and was awarded an OBE in the Millennium New Year's Honours List for services to IT in the Law and to the Administration of Justice. In his acclaimed Second Edition of Tomorrows Lawyers Richard discusses the future of legal service is neither Grisham nor Rumpole. Instead, he predicts a world of online courts, AI-based global legal business, liberalized markets, commoditization and outsourcing, internet-based simulated practice, and new legal jobs. His latest book is a definitive and updated introduction to this future – for aspiring lawyers, and for all who want to modernize and upgrade our legal and justice systems. It offers practical guidance for everyone intending to build careers and businesses in the law.